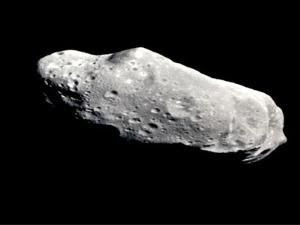 NASA say 60 meters asteroid, spotted by spanish observers in February 2012, will pass near Earth on February 15, 2013. Trajectory to be in collision with our planet. Fears of a possible collision increases as the asteroid, known as DA14, will pass near Earth in February 2013, at an altitude of 27,000 km, which is closer than the geostationary orbit of some satellites. Just for comparison, YU55 asteroid 400 meters wide, passed the 320.000 km from Earth on November 8, 2011. 'Asteroid could break into pieces when entering atmosphere. In this case, most of it will never touch the surface of the planet "notes NASA's expert David Dunham. 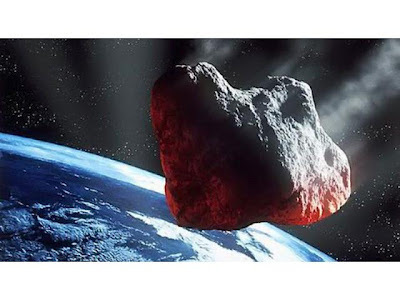 But if the asteroid crash on the planet, without breaking into pieces, the impact shall be as much bigger as Tunguska's blast, Russia in 1908, which left destroyed trees over a total area of 2,150 square kilometers in Siberia. Asteroid 2012 DA14, discovered on February 22, 2012, with a very fast moving, having just passed relatively close to Earth. It moved in about 11 arc seconds per minute, and had a visual magnitude of 18.8. (Credit Jaime Nomen, La Sagra Observatory). For now, the orbit of 2012 DA14 is such that it will not crash into the Earth in the near future. It is rated 0 (no hazard), on Torino's scale. With such a close approach to the Earth, our planet's gravity will change the future trajectory of the asteroid, which raises the chances of impacts in the future. Video below, Asteroid 2012 DA14, on 15 February 2013. Credit Teide Observatory. Most all will be watching this one and pray it goes by us with out a hit. Every Scientist alive will be watching this event. Many will be in Florida for a very special viewing of the once in a Lifetime Event. Professors, Scientist, World Leaders, Ham Radio and Every Astronomers will have its eyes on This Event.